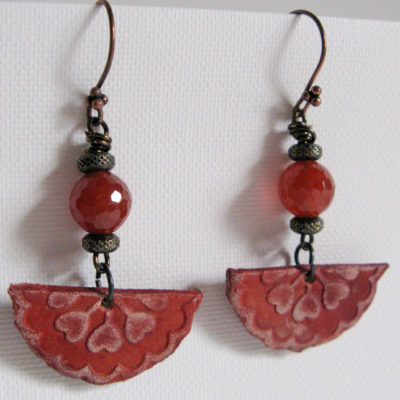 Embossed leather earrings with Carnelian and Copper. 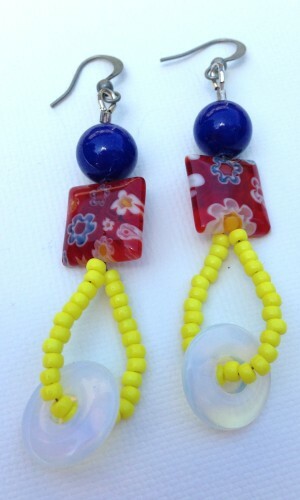 Have some summer fun with these earrings featuring millefiori squares with blue, yellow and white accents to match the flowers in the millefiori square beads. 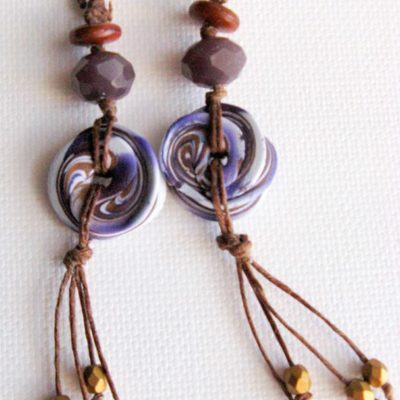 Antiqued silver earwires. 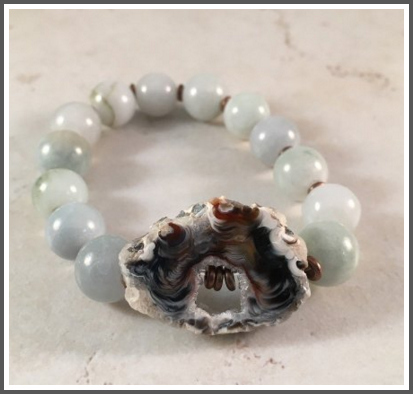 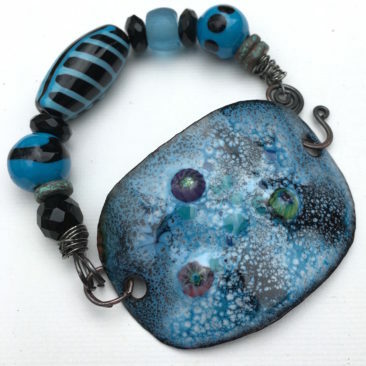 Original design by Linda Younkman. 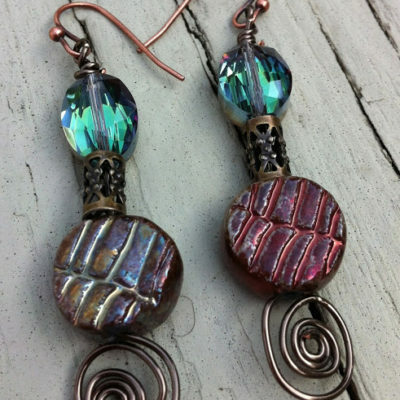 This fantastic pair of earrings features raku beads and green Czech glass with copper earwires and spiral accent. 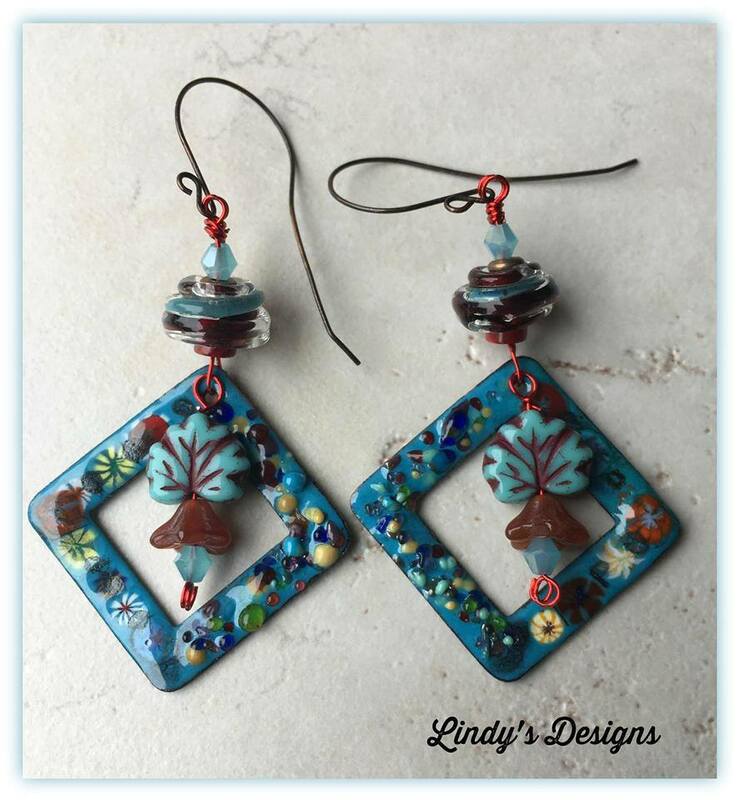 Polymer clay disc, Czech glass beads and fringe accent with copper earwires. 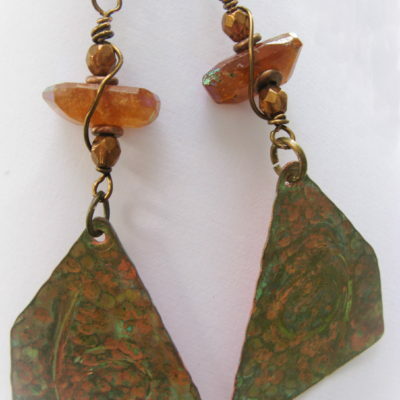 Gorgeous green patina on textured copper with faceted hessonite garnet chunks with copper earwires. 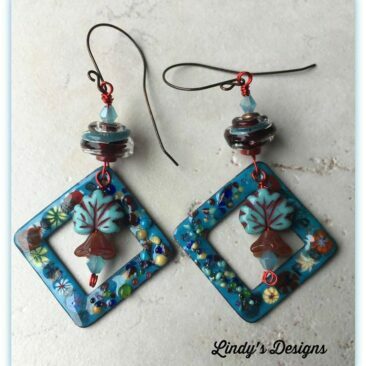 Earrings measure 2 .25″ from drop.